Carwyn Jones’s nine years as first minister of Wales will come to a close on Tuesday. He will attend his final First Minister’s Questions, and make a statement to assembly members, before sending his resignation to the Queen. The AM for Bridgend is set to be replaced on Wednesday by Mark Drakeford, who will need to win a vote of the assembly before he is installed. Mr Drakeford won the Welsh Labour leadership contest last week. 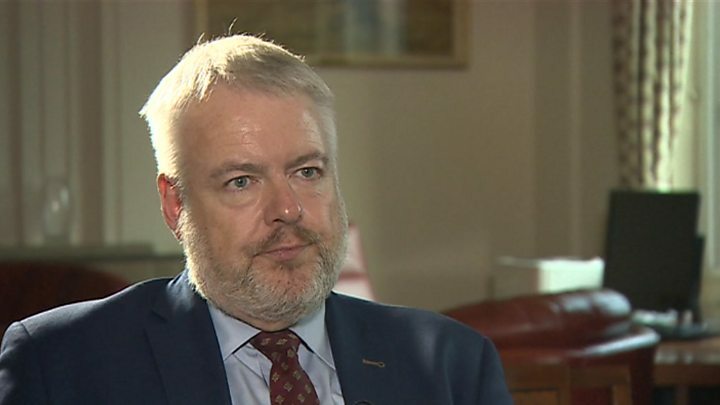 Welsh Government junior minister Huw Irranca-Davies said the death of former minister Carl Sargeant last year has cast a “cloud” over Mr Jones’ departure. He and former minister Jane Hutt praised his legacy, but an opposition Tory AM suggested Mr Jones’ government suffered “missed opportunities”. 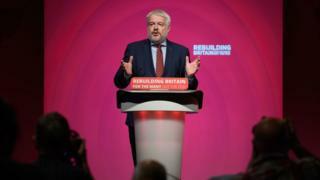 Carwyn Jones has been on the assembly’s political scene since the beginning of devolution in 1999, when he was elected to become AM for Bridgend at the age of 32. He served in a range of cabinet jobs under his predecessor Rhodri Morgan, including as minister for agriculture and counsel general. He succeeded Mr Morgan as the party leader and first minister in 2009, keeping his party in Welsh Government after elections in 2011 and 2016, albeit with a minority in the assembly. What is Carwyn Jones’s legacy? Politics expert Roger Awan-Scully said Mr Jones will be a “hard act to follow” as an election leader. “In 2016, amidst a very difficult context for the party across the UK, and with the Scottish party sinking into third place in the Scottish parliament, he limited Labour’s losses to one seat,” he said. The Cardiff University professor said Mr Jones would like to be remembered as someone “who governed in a difficult time, and hopefully minimised the extent to which falling budgets impact negatively on major public services”. “His critics would talk about a lack of improvement in health, in education, in economic development”, he said. The death of Carl Sargeant shaped the timing and context of his departure, said Prof Awan-Scully. Mr Sargeant was founded dead at his home November 2017, days after Mr Jones fired him from his cabinet post amid allegations of inappropriate behaviour. Prof Awan-Scully said: “It’s clearly brought about a way of ending his time as first minister that would he not want, but nobody would have wanted. If Mr Morgan’s legacy was the bedding down of the early assembly and Welsh Government “Carwyn’s legacy has been to take it on to a new level,” Mr Irranca-Davies said. “A more muscular government, a more outspoken government. Someone who regularly clashed with Mr Jones in the Senedd chamber was former Welsh Conservative leader Andrew RT Davies. The outgoing first minister “was always someone who never carried a grudge outside the chamber”, the South Wales Central AM said. But he listed Mr Jones’ “missed opportunities” in policy – citing proposals for local government mergers that never came to fruition, and the decision over the M4 Relief Road which Mr Jones was not able to take himself. He pointed to PISA education rankings, which in 2016 put Wales below other UK nations. They “clearly show we haven’t made the improvements that were promised by successive education ministers that Carwyn appointed”, said Mr Davies. Mr Jones on Monday cited reforms which introduced a soft-opt out system for organ donation as his biggest achievement. “People are literally alive because of that legislation,” he said. Jane Hutt, the Labour AM for the Vale of Glamorgan, served as a minister in Mr Jones’ cabinet up until the cabinet reshuffle of late 2017. Mr Jones was first minister when a referendum was held on giving the assembly more law making powers. That was a “major achievement”, Ms Hutt said, “because it led to us being able to take through pioneering legislation like the organ donation human transplantation act”. She also praised his decision to buy Cardiff Airport in 2012, calling it a “brave” move that “paid off”.